Holidays have a special way of bringing out our truest emotions for those in our lives. 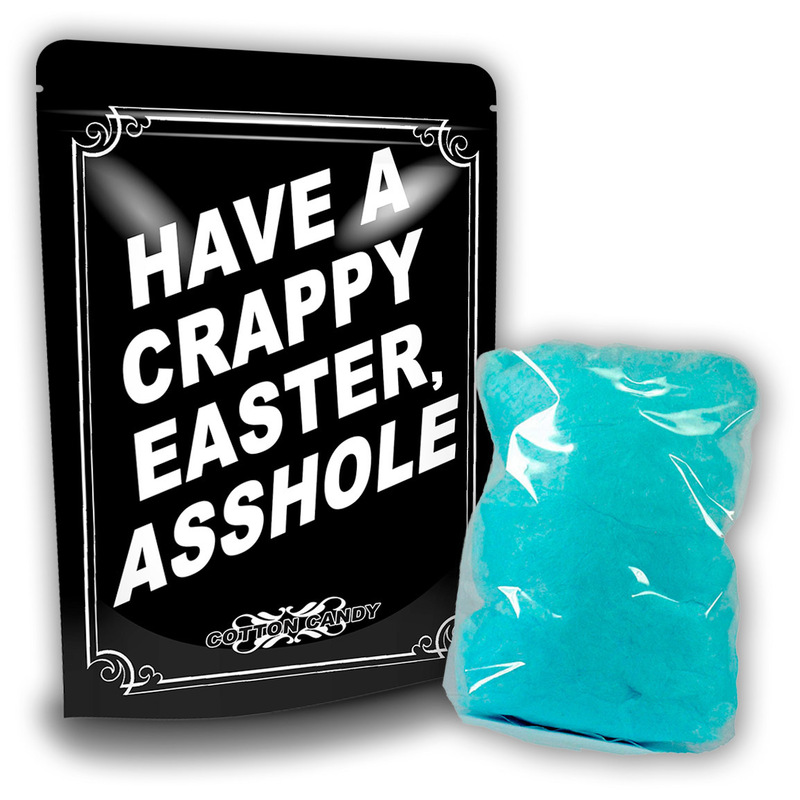 Have A Crappy Easter Cotton Candy is the perfect way to get your feelings out with a sweet, one-of-a-kind gift. Have A Crappy Easter Cotton Candy makes an awesome addition to adult Easter Baskets for all your best buddies. 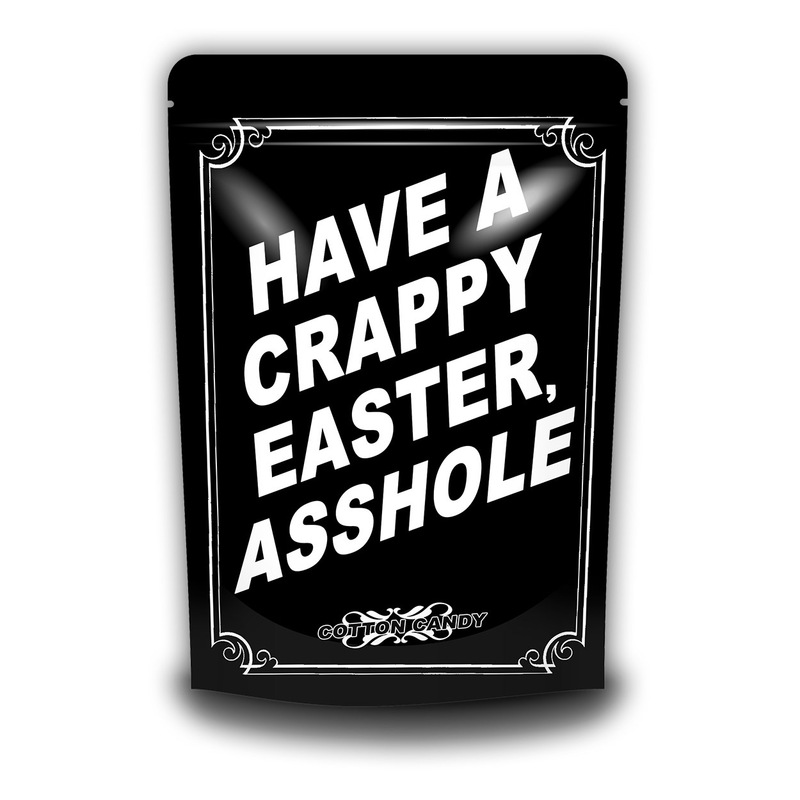 They’ll get a hearty laugh out of this hilarious Easter novelty gift. It’s an unexpected zinger and delicious sugar boost all in one! 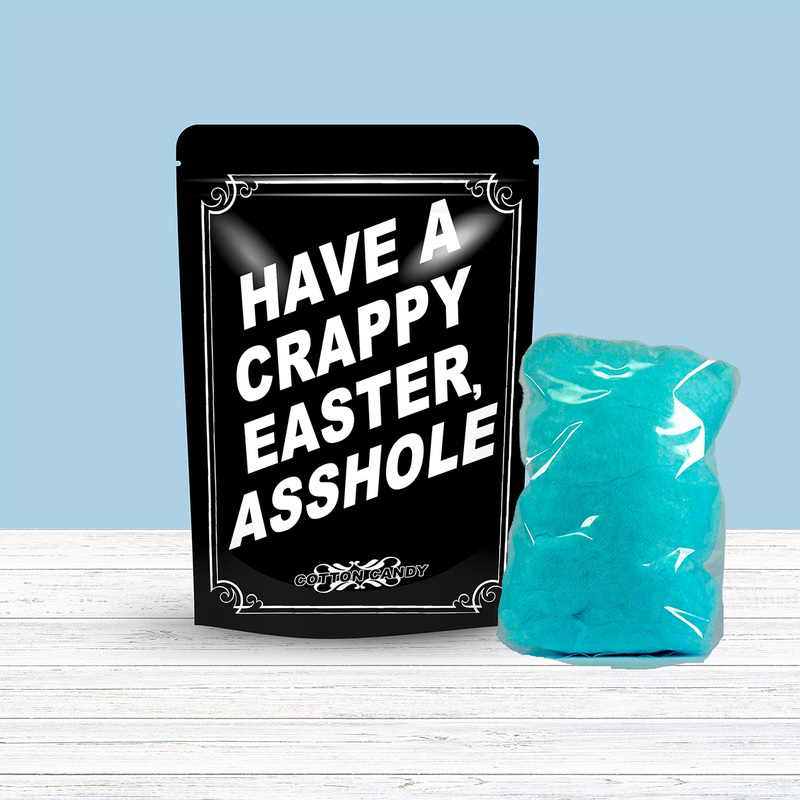 Everyone will love this weird candy gift even more when they open it up and find a fluffy puff of tasty, gluten-free, blue cotton candy. Family and friends will definitely be surprised by your thoughtful Easter gift, whether you pop a bag into a basket or care package. 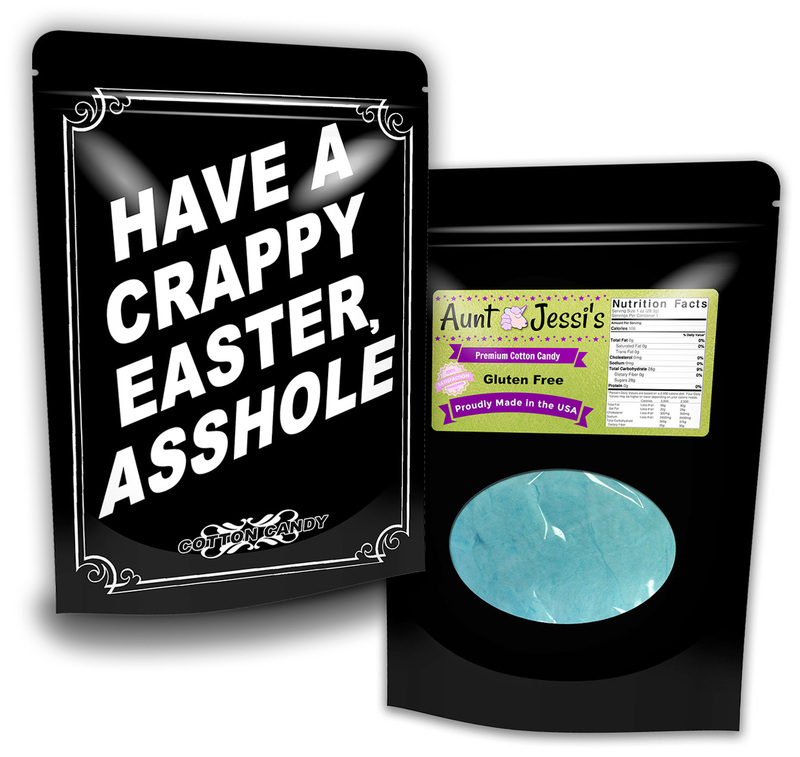 Of course, Have A Crappy Easter Candy is always a great standalone gift too. It really does say it all!